It is with great pleasure that we can announce that we will be attending the 63rd Annual Santa Barbara International Orchid Show. 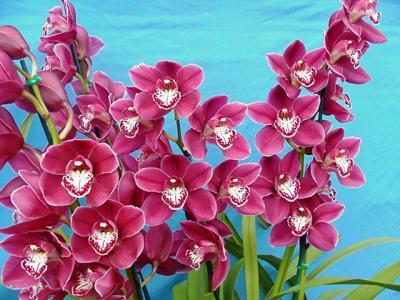 This is regarded as one the best orchid shows wordwide. The show runs from Friday 29th February til Sunday 2nd March 2008. We will be bringing a quantity of cymbidium flasks which will be available for purchase. Anyone interested in pre-ordering some of these flasks is asked to contact us. Thanks and looking foward to meeting you all there. Graham Morris and the team at Valley Orchids. 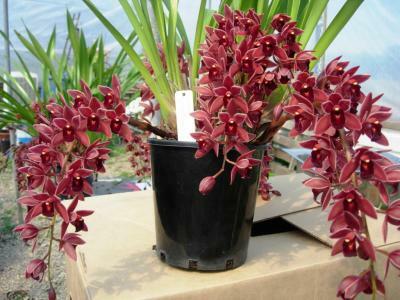 Valley Orchids is pleased to now have in production, cymbidium orchid Dorothy Stockstill 'Rosalie'. This outstanding varieity was sourced from a private grower and we now have it in the lab in early production. Flasks will be available in the next 6-12 months but we can now take orders so you can be amongst the first to have this outstanding cymbidium variety. It flowers in september and is a very free flowering - we had four plants growing in 7 inch pots last year and all of them flowered with 7 or more spikes and had flower count of about 20 flowers per spike - very popular amongst both orchid enthusiasts and novice growers and will prove to be an outstanding addition to any orchid collection. 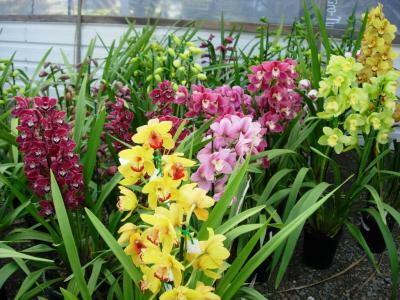 Valley Orchids is proud to announce that our website has been updated. Many new photos are now up and over the next few weeks more new pics will be added. There are now lists up of new seedlings which we have available in sizes ranging from small community pot sized plants all the way up to large flowering size plants. We are expecting a very good season with many of our varieites already showing lots of flower spikes. This year we are expecting to flower over 1000 new seedlings and we will post photos of the good ones up on this website, and we will have many to offer for sale. Hope you enjoy. WOW - Where do we start. We are starting development of the new nursery at McLaren Vale (wine territory). We expect to start trading at the new site in January 2005 and will continue tading at Morphet vale til then. 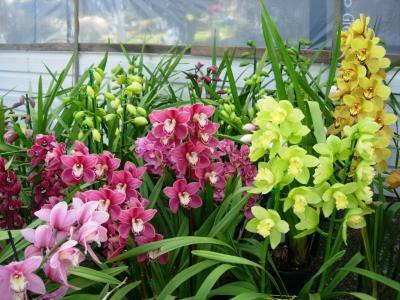 It will be bigger (10,000 sq metres) and more modern than the present location, making it the biggest Cymbidium nursery in Australia. More news as we progress. CONGRATULATIONS to David Wain, for winning GRAND CHAMPION of the Australian National Show in Sydney, with one of our plants. For several years now, we have been telling our customers to grow VALLEY OLYMPIC 'PINK PERFECTION'. We knew from first flowering that this was a very special orchid, and it has been available for some time now. We gave a division to David Wain, to prepare as a showbench orchid, while we trialed our piece as a pot plant production orchid. Reports from Sydney indicate that both divisions are very much admired, with our plant perhaps having better colour and a better lip, While David's plant had taller spikes, better spacing and of course won GRAND CHAMPION. We have single growth mericlones available immediatley. Cost is $12.50 per plant (on the verge of bulbing up and forming new growths) Please note - Mericlones available now are from original tissue. We already know of ploliferators who have cloned the clones and will soon offer proliferations for sale. We intend to keep prices of our mericlones (from original tissue) at an affordable price, so why buy proliferations? We will not be releasing any further divisions from the original plant and David Wain also has an agreement with us to not release divisions of his plant. Any other nursery offering flasks of Valley Olympic 'Pink Perfection' is doing so from proliferated tissue. Consider the risk in buying them, ours are probably cheaper anyway. It is now almost the end of may, and we have been flowering our plants for more than two months. We do not concentrate to much in growing many earlies, due to their relative poor quality, and poor keeping qualities. Never the less we have flowered several varieties that we rate very highly, and are in the process of developing new, superior early varieties that have more intense colours and a much longer flowering life. OTHER BIG NEWS!!! We are preparing to move our nursery to a bigger and better site. After flowering season finishes (October), we will be moving to McLaren Vale, which is about 14 km south of our existing location. We expect building and moving to take six months or more and at this stage expect to begin trading from our new site in early 2005. Till then Morphet Vale Nursery will be business as usual. More details will come later (address, phone numbers etc), in the lead up to then we will have many unreleased stud plants for sale (To avoid moving them). Please contact us if interested. 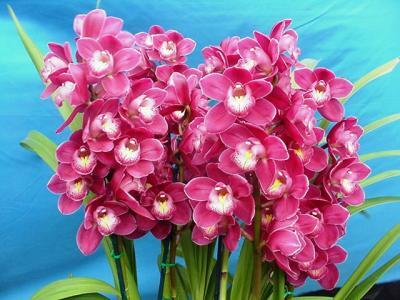 It is now March and it is looking like it is going to be a very good season, there are spikes showing at a phenonimal rate and this indicates to us that over the next few months we will have lots of flowers - incidently we already have a small number of orchids in flower available for sale imediately, please contact us for sales. We have had quite a mild summer so far, but over the last few weeks we have had temperatures a little hotter than we would like. We hope that you enjoy what we have put on our new website and get pleasure out of seeing the many photos of our plants that are available for sale. There will be more feautures added to the site in the near future, and we would like any feedback about the site to make it better and easier to navigate. Please watch this "Current News" section as we will update it regularly to keep you in touch with new developments happening at Valley Orchids. It is now a non flowering time at the nursery, & we are very busy preparing for next flowering season. Lots of moving plants, counting them & making lists, plus lots of potting on & deflasking. The weather so far this season in Adelaide has been unusually cool, with more than average rainfall. Will be interesting to see how it affects the plants for next season. Lots of plants are available for sale. Flower spikes will appear soon, so it is a great time to buy plants to flower next season. There is little Orchid Club activity this time of year. No shows, no meetings till next year. Valley Orchids are proud to announce that their new website has just gone live. Many thanks go to the team at 'three am design' for making this possible. Please feel free to offer feedback on the site as we would like the site to be as user friendly as possible.